IT’S THAT TIME OF YEAR TO SHOW YOUR SWEETHEART JUST HOW MUCH YOU LIKE EM’! Even though it’s quite chilly, the hearts and clasped hands of lovers are very much warm this 2015. It is the mother of all candy and flower days- we’re talking about V-Day! Valentine’s Day is a holiday that, from a very early age, brings the first breeze of puppy love into our hearts. Many of us in school sought out that special boy or girl and gave them a token of affection, in hopes they would become our Valentine. As we grew into adolescence, it had remained equally important; this arbitrary date somehow manifesting in us the courage to approach our crushes, wearing a shield of candy, cards, or anonymity by hiding the offerings in a locker or on their desk. Now that some of us are older, most of us consider it just a great excuse to take time out of our busy schedule to go grab some dinner with our significant other. No matter whether you and your valentine are a budding new item, or a long-standing epic romance, let Fineline Settings help you make it just as special as that very first time you held hands! MAKE MORE TIME FOR ROMANCE WITH SILVER SPLENDOR! This year, why not serve your special someone with style- and avoid after dinner dishes, by dining on fully disposable dishware? With the romantic curves of our SILVER AND GOLD BANDED PLATES, it is the perfect companion to help you pop that extra special question! 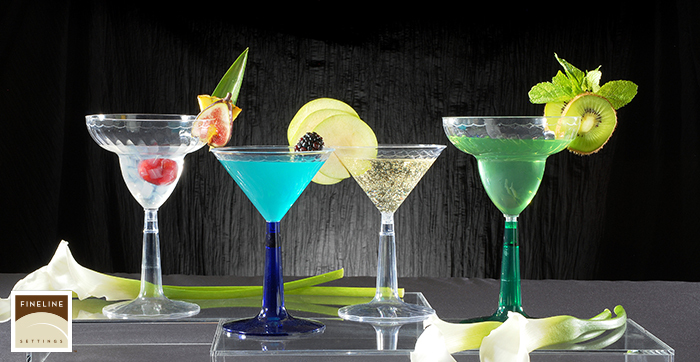 SERVE THEIR FAVORITE WINE OR CHAMPAGNE IN FLAIRWARE STEMWARE! When it is time to exceed their expectations, and toast everything that you treasure in one another, there is no better companion than our Flairware Stemware! From FLUTES, GLASSES, AND GOBLETS, your Valentine will never forget just how special they are to you! MAKE THEIR HEART FLUTTER AND LET THEM IN ON YOUR BEST KEPT SILVER SECRETS! Your romantic tablescape would not be complete without the lustrous gleam of our Silver Secrets Cutlery & Serving Utensils. 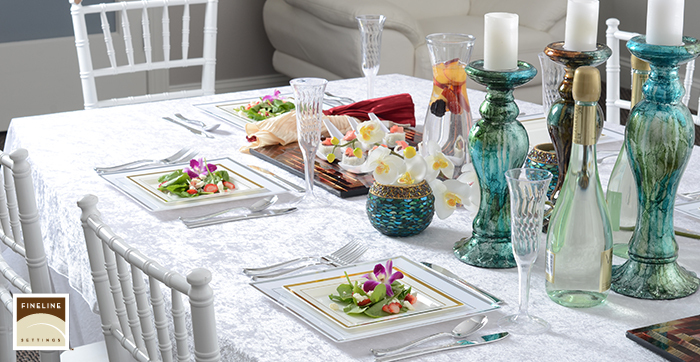 Let them dine with flatware that bears the weight of your meal with the beauty of sparking silver. Fineline Setting will never let you sacrifice beauty for disposability! -on our Pinterest page! With a board full of romantic recipe ideas to make your lover swoon, not only will you be able to easily take a peek at each of these fantastic menu ideas, but it’ll also be all the easier to keep track of them! 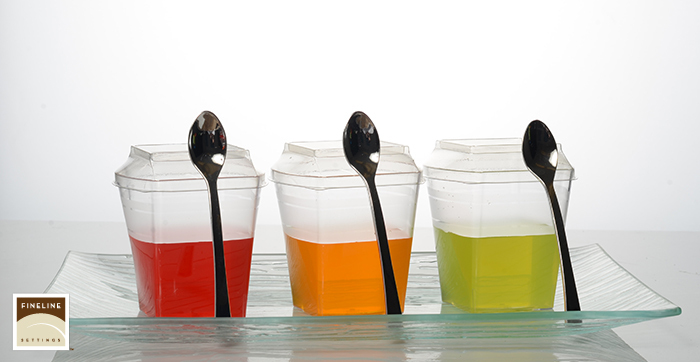 Not to mention, we’re able to give you a vaster selection from which to comprise your menu! Keep all of your special someone’s close, and never miss an opportunity on any given day to show them as much love and appreciation as you can- a little goes a very long way!